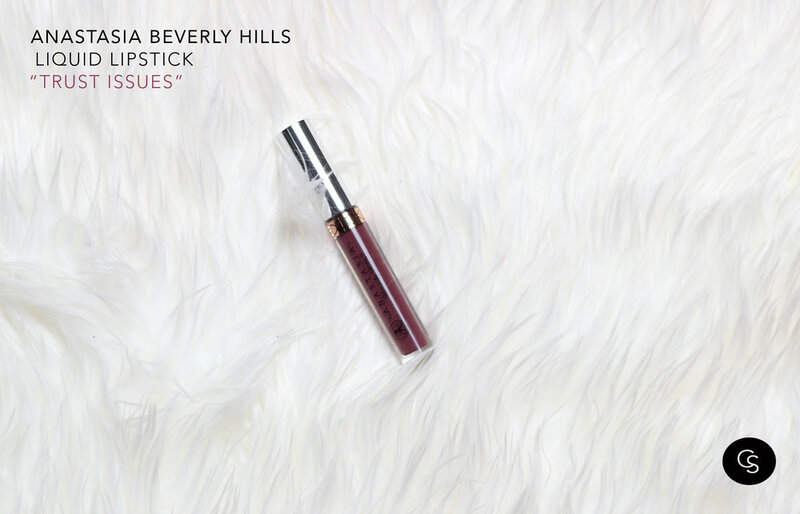 Dusty aubergine, matte finish ; Anastasia Beverly Hills Liquid Lipstick is a long-wearing, waterproof, smudge-resistant, matte lip color. This ultra saturated liquid formula delivers an intense shot of matte pigment in one easy swipe. A single application gives you smear-resistant coverage that stays put for hours. Full coverage, intense pigment, and a matte finish in an easy-to-apply liquid formula. One sweep delivers vibrant longwearing color that sets all day. 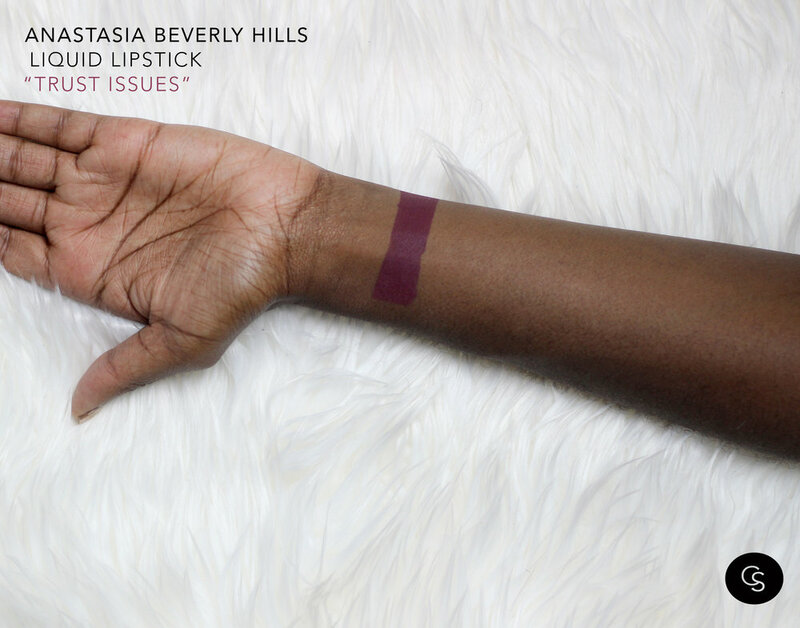 Trust Issues is a mid toned neutral berry colored liquid lipstick that applies nicely. 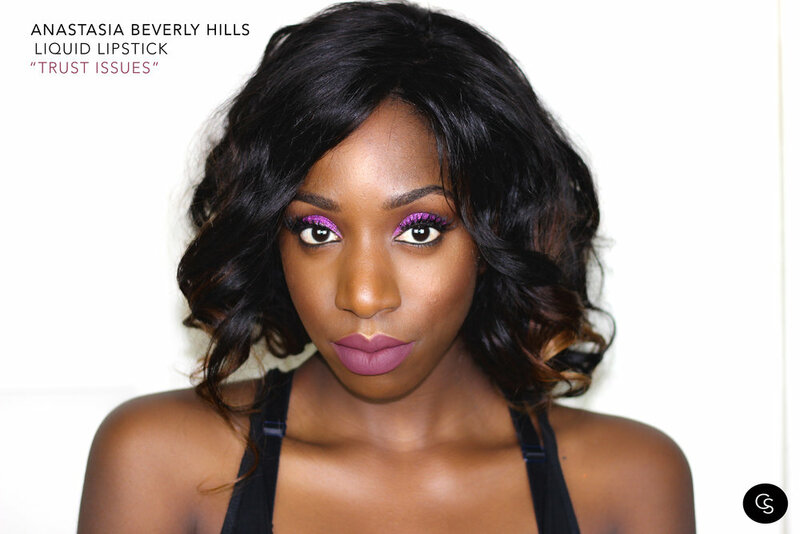 It's very pigmented and dries completely matte leaving your lips looking scrumptious for hours.